International intermodal containerized cargo transportations through the ports of St. Petersburg, Novorossiysk, Vladivostok, Kotka, Helsinki, Hamina, Riga, Tallinn, and Klaipeda. Project transportation of oversized and heavyweight cargoes, both in Russia and all around the world. Delivery of construction and agricultural machinery, and industrial equipment. 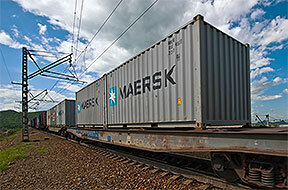 Cargo delivery by rail in covered cars, gondolas and containers. Provision of private railway cars for transportation. 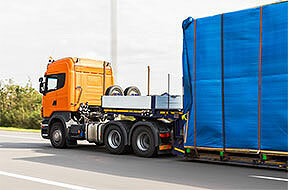 The «Logmar» Company has been performing its business activity in the logistics market since 2009. The key employees have been engaged in the field of logistics and transportation for more than 10 years. During our work we have transported thousands of containers by sea and rail, performed hundreds of oversized shipments, and optimized plurality of logistic routes. At present, we provide a full range of services for the organization of international cargo transportation through the ports of Sankt-Petersburg, Novorossiysk, Vladivostok, as well as the ports of Finland and the Baltic countries. We deliver import and export cargo, perform customs clearance, and provide cargo insurance and consulting services. Due to the well-established cooperation with shipping lines, we can offer attractive conditions for cargo delivery on key directions. 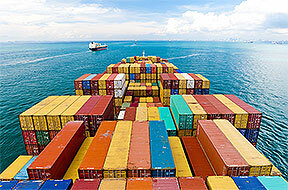 We possess the detailed information on the price component of the container shipping market. This allows us to provide services at good market rate range. It should be noted that our strategy has nothing to do with the mere attraction of customers by offering them the lowest cost. In all cases, we strive to provide the proper level of services, including full information support, timeliness of delivery and other agreements reached. Fill in the form and we will contact you to discuss the details. Business hours: 9:30 — 18:30 Weekdays.